For those who attended the celebration of The Good Braider on July 11th, you may remember the preview we showed of the book trailer featuring the song “A Girl From Juba” by OD Bonny. We’re pleased to announce that the final version has been released! You can view it below and on YouTube. 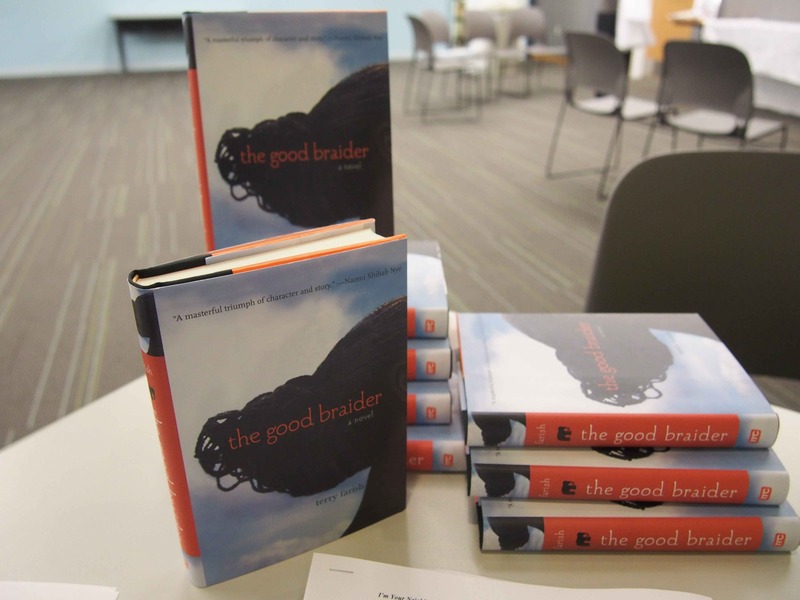 On July 11th, I’m Your Neighbor, Portland celebrated its first featured book in the collection, The Good Braider. Author Terry Farish was joined by local performers O.D. Bonny and Bianca Abdalla in an evening of exploration and celebration of both the title and the Sudanese American community in Portland. Kristen Cappy, project director, opened the evening with wishing South Sudan a “Happy Birthday,” as July 9th marked its second year of independence. 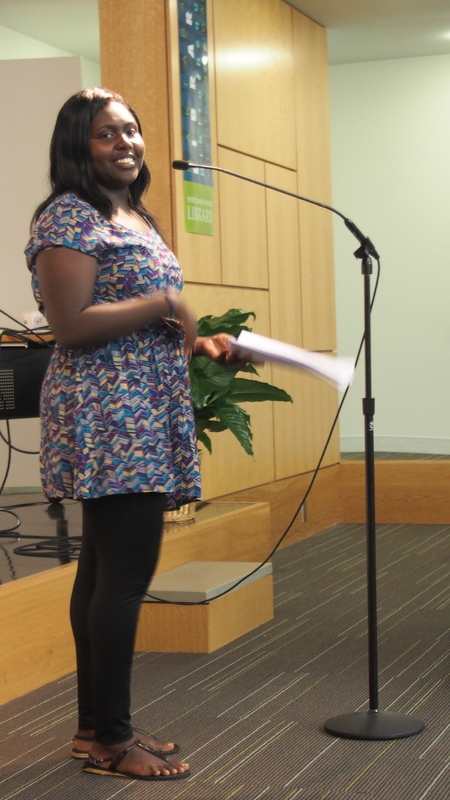 Student and performance artist Bianca Abdalla reading from the chapter “Be Free,” which takes place early in the novel while the character Viola and her family lives in Juba, South Sudan. Bianca beautifully expressed Farish’s writing and the character Viola’s voice. Farish then led the audience through a discussion of the mother-daughter relationship a central theme throughout The Good Braider, based on what Farish observed in the Sudanese-American community in Portland. One audience member noted Viola’s preference to confide in her grandmother over her mother and wondered if that was a common occurrence in Sudanese culture. Bianca responded that like Viola, she often talked more to her grandmother about certain things that she would never talk to her mother about. She shared that her mother commanded more authority and might try to lecture, whereas her grandmother, as an elder of the family, would listen. 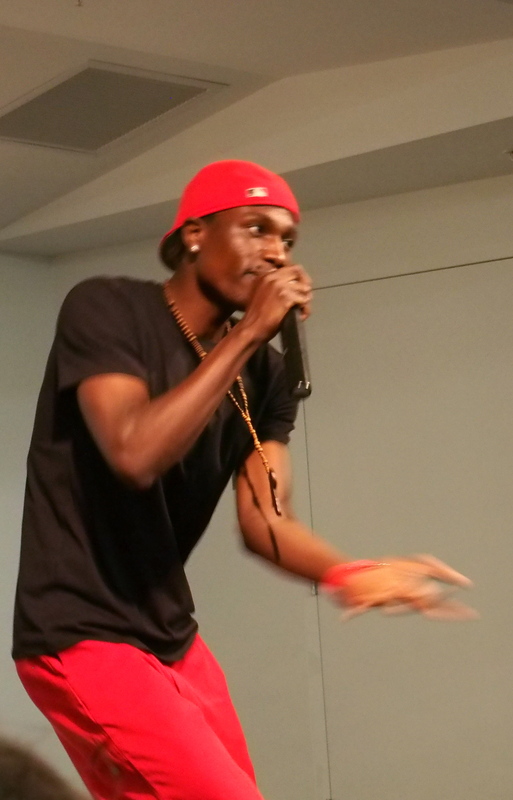 Sudanese rap artist OD Bonny came on stage next to perform two songs from his album “Kwo I Lobo Tek” sung in Acholi, OD’s native language and one of the languages spoken in Sudan. He concluded his set with “A Girl from Juba,” which was inspired by the book. He also shared a special preview of The Good Braider book trailer that he is currently in the process of filming. Many wonderful connections were made during the book discussion, from OD relating his own personal experiences coming to Portland from Uganda to Viola’s story, to a Portland librarian connecting the book’s theme of identity to her family’s history of being Russian Jewish immigrants in the early 1900s. O.D.’s friend Chris, who plays Andrew in the trailer, said that he enjoys friendships with people of all different backgrounds and that as a child, he felt a connection with the kids who were bullied because of their skin color since he too was often picked on. Afterwards, the audience was free to talk with the performers or have Farish sign a copy of her book, as they tasted Sudanese Cinnamon Sweet Tea, and vegetable sambusas and himbasha bread from Asmara Restaurant. They were also able to pick up an I’m Your Neighbor Portland discussion guide to the novel to continue the conversations. 35 readers of varying ages and cultures joined in this wide-ranging discussion made more powerful by the performances of Sudanese Americans, OD and Bianca. Thanks to all who joined us and to the staff of the Portland Public Library who support and partner with I’m Your Neighbor Portland. 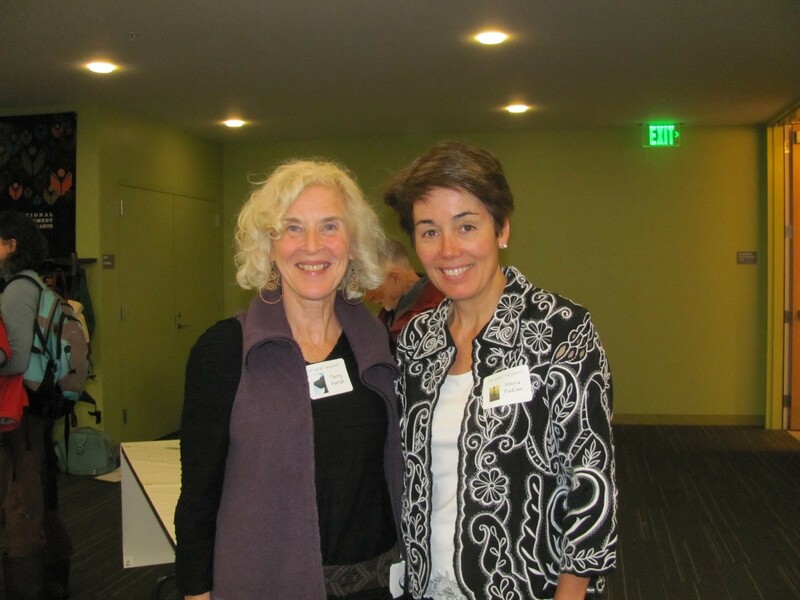 I’m Your Neighbor, Portland could not be a success without our Immigrant Literacy Adviser Terry Farish. She is also the author of featured book The Good Braider which follows a refugee named Viola in her journey from her village in South Sudan to Portland, Maine. 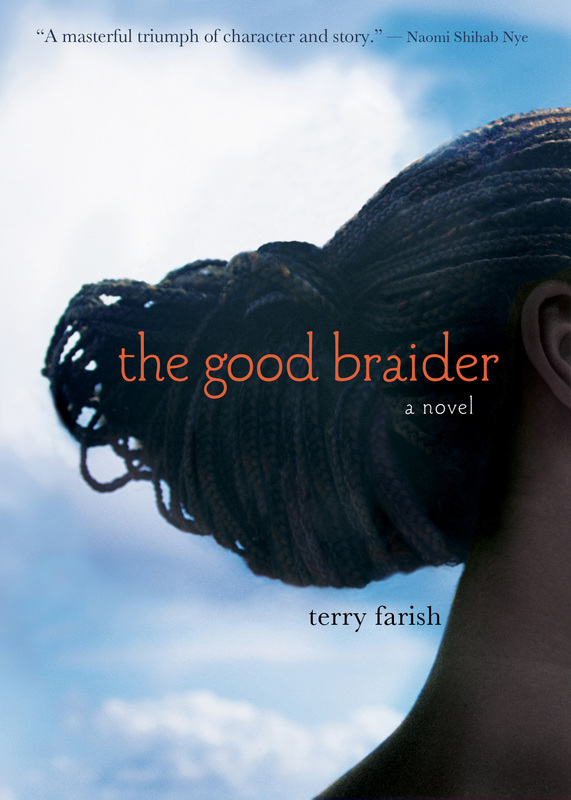 Here Farish talks about her experience and inspiration in writing The Good Braider. VISIT Farish’s blog “The Good Braider” for more about South Sudan and her research on the book. JOIN US at the Portland Public Library on July 11th to celebrate the title. 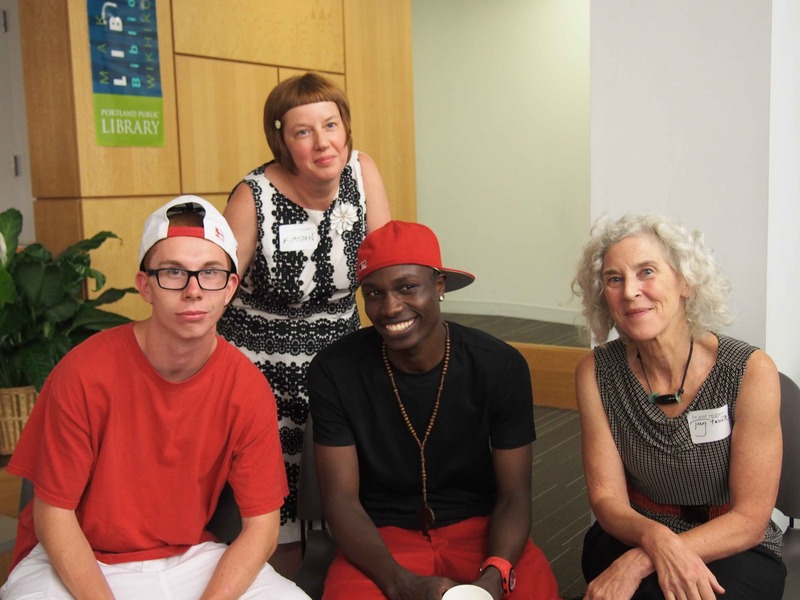 Terry Farish’s involvement with the Sudanese community began at the Reiche Branch Library in Portland, Maine, where she worked in 2001. She worked with families from countries around the world including children and teens from Sudan. She remembers talking with one boy from Sudan and asking him about the food that he ate and instead of trying to describe it, he invited her over for dinner where his mother could cook for her and she could experience it for herself. Farish originally started out researching and writing a non-fiction book about Sudanese teens in the U.S. but after many years of writing nonfiction, she turned to fiction, after beginning to write scenes in verse. After talking to people in the Sudanese community, she saw that the parents worried about their children who became Americanized quickly while the parents wanted them to keep their cultural identity. Farish researched the history of Sudan and neighboring countries, including the impact of colonialism. She also researched the civil war that was taking place in Sudan. Some of her sources included The Shadow of the Sun, The White Bone, Me Against My Brother, and Voices of the African Ancestors. For more resources, see Farish’s “The Good Braider” blog under Researching South Sudan. 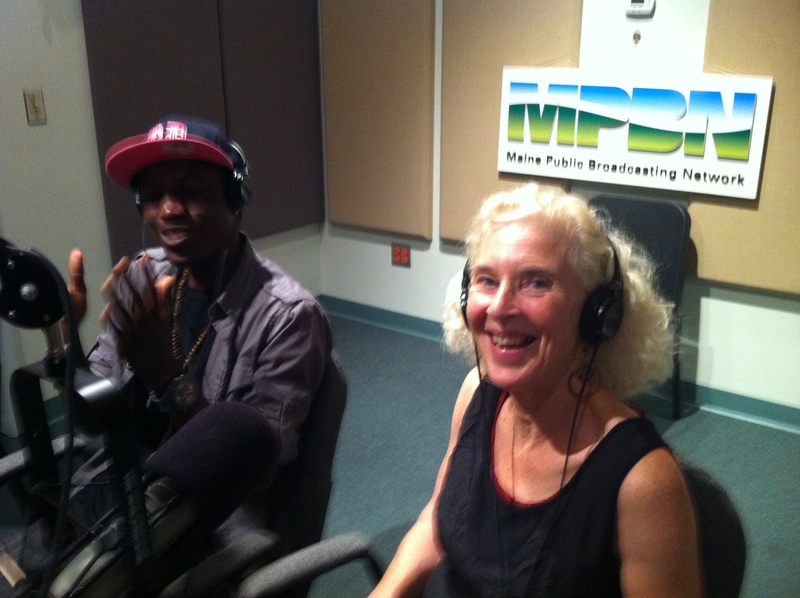 To understand the Sudanese culture, Farish turned to the Sudanese community in Maine. It was in their living rooms and kitchens where she collected oral histories of the families. She saw the expectations a family has for the daughters, and the power of the mother in the family – all of which helped her create the mother-daughter relationship between her character Viola and her mother. She witnessed the ritual of braiding and learned the significance of the braids to the girl as part of her identity and culture. She also used specific details that were real for many Maine immigrants, such as the experience of going to an ESL class and working at Barber Foods in Portland. Remember to save the date for I’m Your Neighbor, Portland’s celebration of The Good Braider! 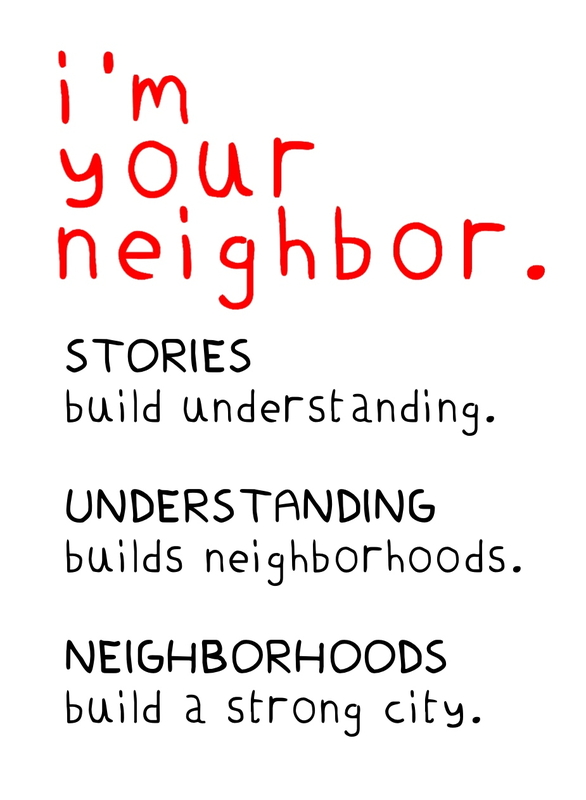 The American Library Association named the I’m Your Neighbor, Portland featured book, The Good Braider (Amazon Children’s Books) a A YALSA Best Ficton for Young Adults Book, 2013. Congratulations to author Terry Farish! The city of Portland looks forward to engaging in a conversation about The Good Braider on July 11, 2013 at the Portland Public Library. More info here.